Creating a world of opportunity for all abilities. 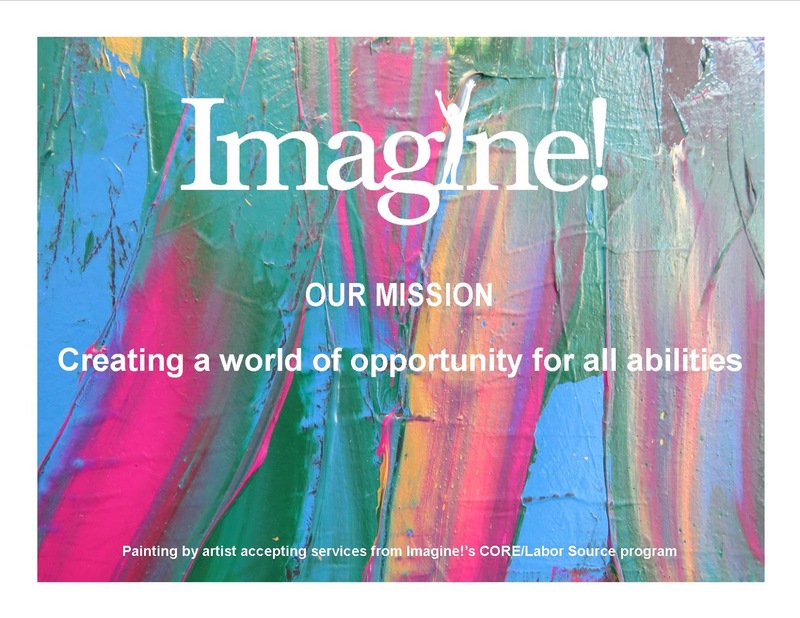 Check out the short video below, then feel free to read more below about how we arrived at the statement, and how we think it represents Imagine! now and moving forward. And most importantly, Imagine! is unique from other providers of service and other organizations who function as CCBs. Imagine! is recognized as a great provider, innovator, and a leader in the field at the local, state and national levels. What we do matters to people we will never even know. And perhaps most importantly, the new mission would not merely be a statement of what we do. 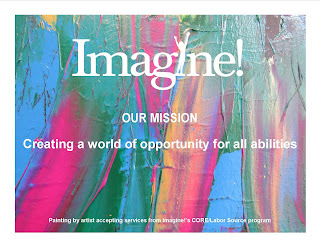 Instead we wanted something that would serve as a unifying focal point of effort for all Imagine! stakeholders. We wanted it to be an audacious goal we could measure ourselves against. It doesn’t mean the goal would necessarily be a sure bet ... but it is one that we as an organization believe we can do anyway. So we gathered a team, including staff members and members of our Board of Directors, to create a new mission using this challenge as a jumping off point: Describe a world unaffected by cognitive disabilities, followed by, Is what you do every day contributing to this described world? In the end, we wanted a mission that indicates that everything we are doing, directly or indirectly, is creating this world. My thanks to the many people who were involved in the process.